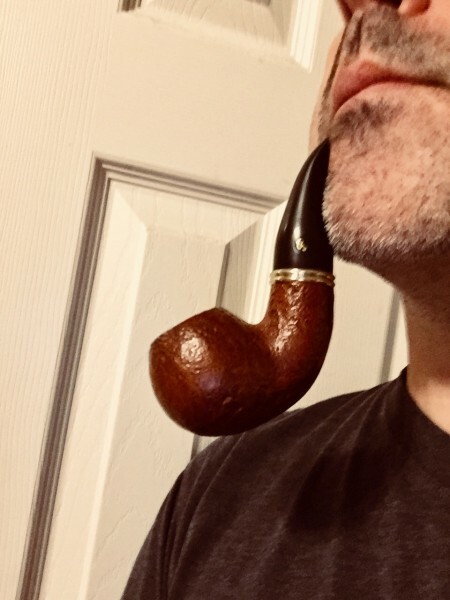 Today was the first time I ever tried breath smoking-- PS Luxury Navy Flake in a Morgan Bones sitter I picked up from a forum member a few weeks back. It took a couple of tries to get it right; I was afraid of blowing ash out all over myself, and I was too delicate at first, so it went out a few times. After a few relights, I got the hang of it, and all I can say is WOW. Smoked the whole rest of the bowl with no relights all the way down to the bottom, with great flavor and a very cool pipe the whole time. Consider me a convert. P.S. Thanks to Chasing Embers for advocating breath smoking on here. I'm smoking Embarcadero with same method I just learned about on Friday, and will second this. The tobacco stays lit, I only tamp 3 or 4 times, bowl stays warm, not hot. Tried this with FVF and some CC that I was lucky to snag this weekend. Really cool way to smoke a pipe! I just can't believe it took me this long to get around to trying it. I just can't get it to work for me. Only way I can get a tiny, wee bit of smoke into my mouth is by taking several long deep breaths—don't think that's how it's s'posed to be. I get lots of smoke in my mouth and keep it there for the most part. I cycle small amounts of smoke back and forth through the pipe. Drives my wife crazy, she doesn't know if I'm smoking or just walking around with a pipe in my mouth. As a clencher, this was a technique that came pretty naturally to me not long after taking up the pipe and always seemed to make perfect sense. It really does maximise the pleasures in smoking and as far as I'm concerned, it's the only way to go. In my opinion. The closest I ever got to breath smoking was slowing down appreciably to the extent that my mouth stopped hurting. It lasted for about a week. I think you could safely say my technique sucked:). By the time I quit my palate, which had always waxed and waned, seemed permanently waned. I spent many many hours studying pipes and tobacco and opened many doors thereby that I could not walk through. But even hobbled I adored pipe smoking. The only downside to this method is it seems like it wouldn't be very well-suited for outdoor smoking, and I don't think I'd ever be able to walk or do anything physical while breath smoking. But maybe that's an upside, rather than a weakness. What is it? Lots of accolades, but what is it? I walk and smoke outside all the time and breath smoke fine. As long as I don't exert myself to the point I have to breathe through my mouth I'm good. Coming from cigars, smoking with a pipe using the breath method was not natural. But once I learned that pipes don’t creat plumes of smoke like a cigar, the breath smoking became second nature. New convert here, too. My only issue with learning this was that I don’t like to clench the entire time I’m smoking. Seems to make my jaw sore with some pipes. But, I’m learning to just hold them in a similar spot as the clench would be and getting the same results. It's a method where the pipe sits in your mouth, clenched, while you breathe naturally through your nose. Because of pressure differences, smoke fills your mouth and the flavors are full and the smoke is cool. 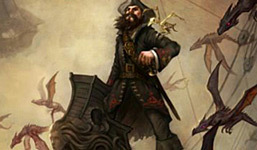 Pease describes it well on his site, so does Muttonchop Piper on some vids. The idea is you don't have to puff, but get full flavor of the smoke. My struggle right now is the amount of saliva I'm producing, and I'm still trying to figure out how often to pull the pipe out and release the smoke. But with more practice I think I'll like this more and more. Same here. I've been practicing this method for a few weeks, but I still have to pretty much hold the pipe. Clenching makes my jaw hurt and I get too much saliva anyway. I am having good smoking success though. Breath smoking is on my radar as something to try. I like how it uses your natural breathing rhythms to control your cadence. Lots of good info out there about it as well. I also like to watch the shapes the smoke makes rising from the bowl. I suppose it's similar to watching clouds or staring into a fire. It's the only way I smoke. While reading, lunting, doing yard work, or whatever. It's so dialed into my breathing that I don't even pay attention to doing it. I also like to watch the shapes the smoke makes rising from the bowl. Eventually the smoke becomes imperceptible to the point that most will not even know you are smoking. so does Muttonchop Piper on some vids. How he blows smoke back though the pipe on every draw, I'm surprised he hasn't burned a hole in his pipes. I just can't get it right...not sure what I'm doing wrong but I really don't get any special flavor from this. I'll figure it out one of these days. I would post my own video here, but that would get my hand slapped. Here's one from Alan Kerslake. Ok, thanks D4K. I kind of do that now anyways.But the reason that it doesn’t work for some people is that they involuntarily cut off airflow from the mouth when breathing through the nose. You have to practice breathing through the nose and mouth at the same time! That's how it's done. You create a vacuum in your mouth in time with your breathing only allowing the airflow to mix during a retrohale. Right. It’s hard to explain! I know, it's easier to show somebody and then when you figure it out you wonder why it took so long! Pull the smoke to the back of your mouth and then breath out through your nose. It's kind of like a throat inhale. I don't see how it makes any difference whether you clinch or not. Or perhaps I'm thinking of something different. It's kind of like a throat inhale. This is what concerns me about this method: ending up pulling smoke (in any amount) to the lungs. Probably, my body is unconsciously 'holding back' in some way, trying to prevent an unwanted situation from happening—and at the same time throwing a monkey wrench in the whole process. Ever since I've been wanting to ask here what causes one to blow a hole through a pipe, but I've hesitated to open a thread for just that question. You're inhaling some amount of smoke into your lungs regardless. You're also inhaling toxins into your lungs if you live near a highway. But I understand. I think the way I do it, there is a very, very minimal amount of smoke that gets inhaled. And it sure enhances the flavors of the tobacco. Some people blow some very short, light puffs back through the pipe to keep it lit I guess. I've tried it but have never made it a habit. Unless their fast and longer breathes, I don't think it would heat up the pipe appreciably. Yup, and as a matter of fact I'm inhaling quite a bit of "2nd hand smoke" since I smoke in my car, but yeah, what I'm concerned about is inhaling à la cigarettes. My 'method' is to take a breath, hold the air, then sip/puff, swirl the smoke in my mouth for a second or two and blow it out along with my exhalation, then breathe again. Having my lungs filled with air prevents me from accidentally inhaling. I do this for both pipes and cigars, and even cigarettes —which I also don't inhale. I'm not a clencher. Hell, I've never managed what some do with cigarettes: puff whilst holding them between their lips, hands-free; I have to hold them with my two fingers. Yeah, I know they're inhaling, which would make it easier, but still. I would post my own video here, but that would get my hand slapped. Is it okay for me to do that? I'm making those just for the forum and recently got mixed signals. Why would there be a problem with linking to your own video? PipesMagazine.com cannot be used just as a means to promote your own web site, blog, YouTube Channel, Facebook Page, or any other outside landing page. Some members use the forum to post their Youtube video links to promote their channels and increase their views (such as: Check My Mixture 79 review). Some may do that to monetize their videos, some may not (just for fun). Since we don't know who is going to monetize and who is not, we don't allow those kind of posts at all. Besides, it is not fair for our forum sponsors who pay and get advertised. Instructional and educational videos are ok I guess, have to check that one with Kevin. Tobacco related videos are supposed to be demonetized. It is simply a Venturi effect. When there is a pipe clenching in your mouth and your mouth is closed, the only air intake can be achieved through the pipe. While breathing (as shown with blue arrows) the air inhaled through the nose goes through the pharynx (the area marked with red), because it is a constricted section, air speeds up thus pressure drops. 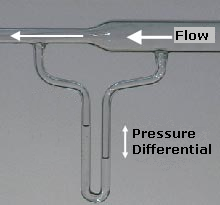 Decrease in pressure creates a vacuum (partial) and attracts the air around it which is in your mouth, this ends up with taking more air through the pipe. And yes, some of that smoke goes to your lungs. Except I treat my mouth like a separate breathing organ. I create a vacuum in my mouth by opening my jaw. The smoke never enters my throat until and if I retrohale. I time the mouth pressure with my breathing, but never use my breathing to adjust the pressure in my mouth. In my video, I am drawing while breathing both in and out by applying a vacuum created by expanding my mouth cavity and no by venturi pressure changes in my throat. Btw, I do breath smoking every time I smoked. But so hard to do clenching with some of my pipes. Maybe the pipe, maybe my mouth anatomy. In Alan Kerslake's video, he appears to be doing the same thing. Not smoking with the breath, but syncing the breath with it. Seems described that way here as well. Instructional and educational videos are ok I guess, have to check that one with Kevin. Please, do. I've created 3 such videos that I've linked to here; since I consider them strictly demonstrative or instructional, I didn't even think of that rule when I made them and when I've linked to them. I don't even have a channel (and highly unlikely to have one, not being photogenic). I think it was a landmark for me when I got it. Alan's video is the one I saw when I discovered it. When I matched my natural breathing pattern to it -babam! - pipes stayed lit! Though when Alan made the video - exaggerating a bit to make sure he demonstrated the concept so you could see it - I'll bet he roasted that pipe! When I tried the small puff exhale every time, it seems the bowl was actually cooler than when I would puff only (going back a few months ago. I have since slowed my cadence and bowl stays relatively cool when I puff only). But is burn out associated with heat? Or is there something else going on that you think might cause burnout when blowing through the pipe? I'll work at my workbench, or read a book, or be puttering about in the garden... just allowing the smoke to savor in my mouth, not thinking about the pipe. Then I'll take my pipe out of my mouth, wipe the sweat off of my forehead, or recall the last paragraph, or look at a stone setting in one of my projects, puff a few times on my pipe, and think about the smoke. Watch the fine slow stream of smoke... then reflect on something, then put the pipe back into my mouth, and resume doing whatever it is that I was doing and not thinking about my pipe. There are no rules. It's just something that comes to you. When you are starting, you are all focused on each little aspect. The pack, the light, the tamping, cleaning the pipe. The smoking is just haphazard at best. Then you spend so much time trying to consciously taste this or that flavor. Puff a little fast, and get burned. When you start driving, you do this too. Clutch, shift, gas, let of clutch... Then after a while you are listening to the radio, and next thing you know you got home without having to think about letting off the clutch even once. You just did it automatically. Smoking a pipe is like that. Just relax into it. Carry on in what you're doing in your day. Or, save smoking for that special moment. Don't mind a little burn. There's no rules. I can breath smoke nearly an entire bowl without hands, and more importantly with no jaw aches. However, I can only do that with 1 of my pipes. The craziest part is that it’s my heaviest pipe. It’s a Peterson XL02 Irish Whiskey with a big fat p-lip bit. I actually relax my jaw so that it lays perfectly in the curve of my chin. It doesn’t fall out of my mouth due to the p-lip being “hooked” on my lower teeth. It is very comfortable. Burnouts don't happen just by blowing air up the stem. No, but I meant the way muttonchop draws and blows with every breath like a bellows. No break in between can really heat up a pipe. Duane, honestly speaking, when I tried breath smoking for the first time 3 years ago, I did as exactly as you said, by expanding mouth cavity. The thing is I couldn't figure out the logic behind it and quit. Then I gave it another try with that Venturi effect and it worked out, however some smoke was going to my lungs, thus I quit it again. I have just realized that (thanks to you) smoking has nothing to do with the air you are inhaling, the breathing cadence is just used as a metronome to adjust your smoking cadence. Makes sense now. Glad to help! That's why I made my video. Visual aids always helped me understand better than just reading about a thing. I am doing what Cosmic and Chasing Embers are doing, only with less skill. It seems natural to me and I was going in that direction before I watched Chasings video. There are still a few issues, like getting cadence down, bad tamping skills, saliva management etc, but I'm getting there. Breath smoking with inhaling is not something I want to do. Is that even possible? I can't clench due to that saliva thing. Occasionally drawing fresh air into the mouth with the smoke will help keep some of the salivating down. Some of those silica gel packets could keep the moisture down. Maybe tuck one in your mouth while smoking? I do that all the time, still can't prevent saliva getting into the stem. So, I don't clench. Tried that as well, wifey didn't like the smell coming from my mouth. I know Michael, I tried to replace her, apparently that's not easy, holding pipe with my hand instead of clenching is easier though. I don't think I could get saliva down the stem if I tried..... But can you clench with the stem further back in the jaw? Spit more? Don't clench for more than a few minutes at a time? Yeh, I'd think that you'd have to have just gushes of saliva coming out like Niagara falls. Try spitting down the stem... it's not as easy as you'd think. I guess I am not alone. There are some whose salivary glands produce more saliva than others (thus they are non-clenchers). I just let the pipe hang from my mouth (like banjo does), sometimes I hold it with my teeth, in any case I can't keep it in my mouth for more than 2-3 minutes. It's ok, Javan. I was just pulling your bib leg. I just finished a pipe on the way back from my kids' bus stop, and realised that I do swallow a lot when clenching. Had never paid any attention to that before. Some tobaccos leave me drier than others. I have also noted that it isn't exactly the type of leaf used in the blend that does this, but maybe the casing. Some casings leave me with a more sweet acidic taste that causes me to salivate more. These blends I prefer in the summer months, like the Newminster SNF or OGF. Then some are drier, like Star of the East Flake, sour almost, that are way better in the wintertime, to me. But, I don't think my saliva is going down the stem. I tried to actually get some spit down my stem last night, as a brainfart, but my spit is too thick and doesn't easily want to go down the stem. Or, maybe I hold my head upright as I smoke, looking down my nose. Do you guys bow a lot? Maybe drop your heads in shame? JK Sorry, I am mixing up my response to the "pipe snob" thread with this one, ha ha. Drooling is perfectly acceptable. Right? It's a good thing, and you shouldn't let people shame you... for drooling. Be proud of it. I salivate a little, whether breath smoking or not. When breath smoking or clenching in general, I usually take the pipe out of my mouth eery minute or two and swallow, then reinsert the pipe and carry on as normal. I'm not sure I have the dexterity to swallow while clenching.